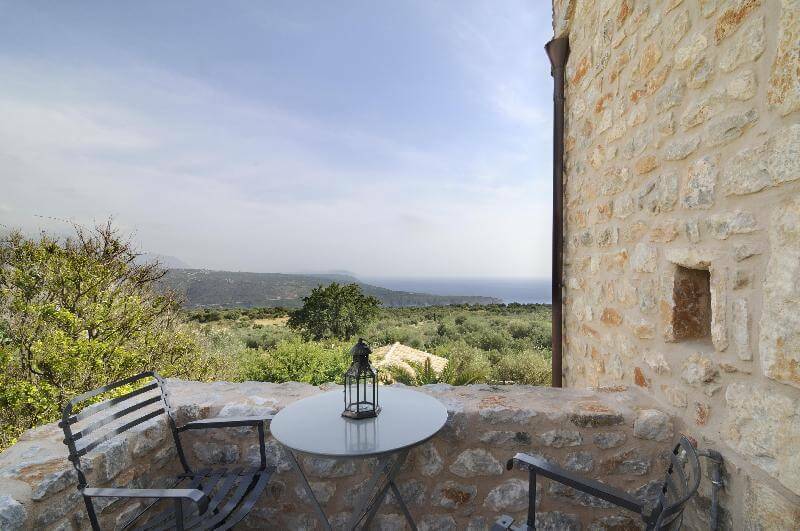 Situated in the village of Omales, 1 km away from Areopoli, Antares Hotel Mani offers stone-built accommodation with furnished balconies overlooking the sea. 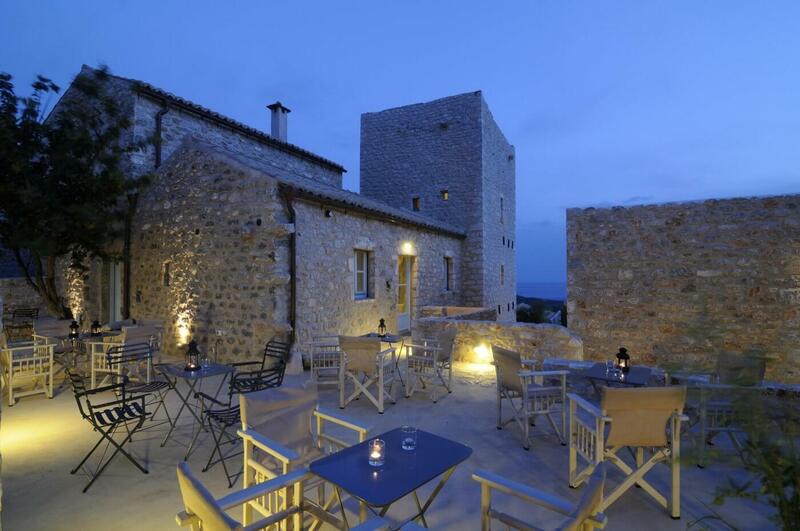 It has a charming stone-paved courtyard with olive trees. 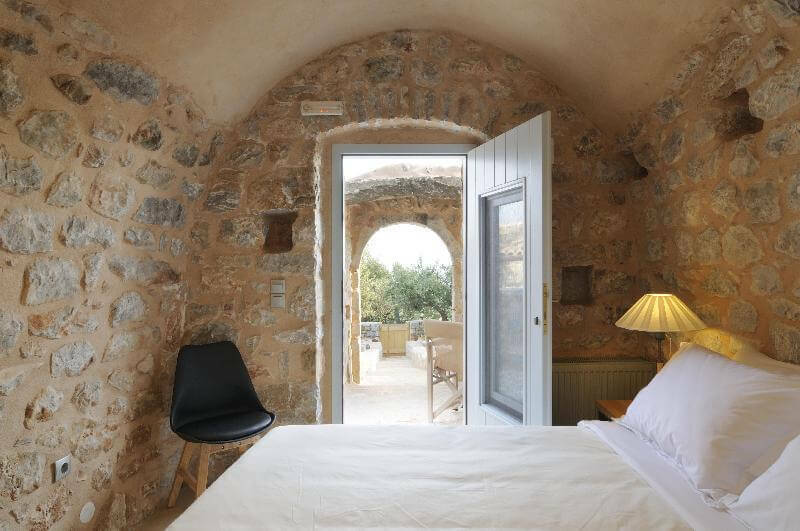 Rooms and suites at Antares combine traditional Mani architecture and contemporary elements. They come with a flat-screen, satellite TV, electric kettle and mini fridge, while the bathrooms are equipped with bathrobes, slippers and hairdryer. 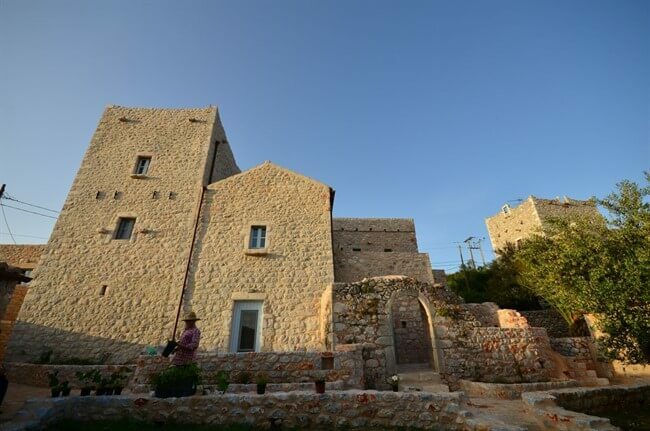 Wild flowers, plants and herbs of the flora of the Mani region compliment the garden and inner courtyard, where a freshly prepared, Greek breakfast is served. Antares Hotel serves as a convenient base for exploring the nearby scenic villages, such as Limeni at 5.5 km and Itilo at 6.5. Within 11 km, you can also visit Diros Caves. Free Wi-Fi throughout and free private parking are provided. Enjoy beautiful views of the Valley of Alfeios River from your private balcony. 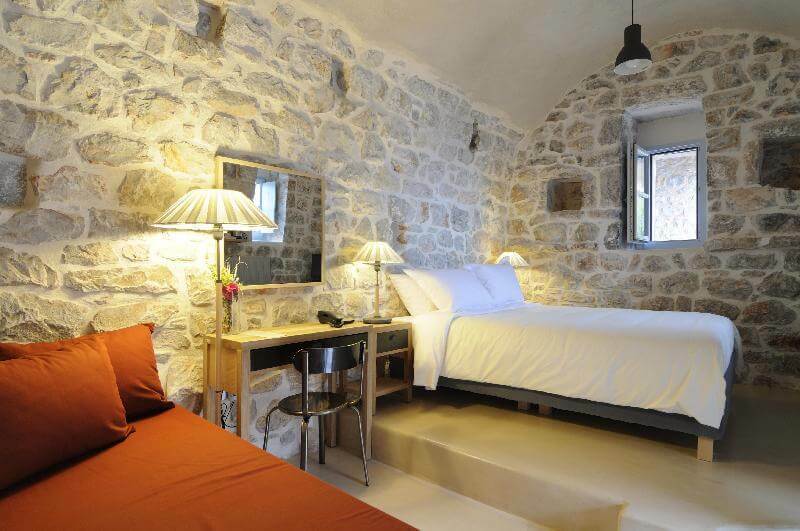 Relax in your spacious room, appointed with marble floors and a lovely seating area. Benefit from free wireless internet access and breakfast included in your rate.